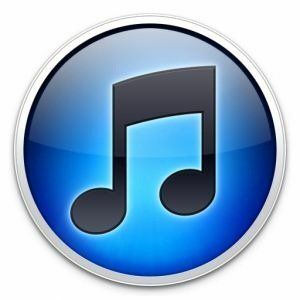 With music purchased from the iTunes Store, it’s not always clear what you can or cannot do. This is largely due to the maze of DRM restrictions, and iTunes’ design, which is obviously focused on managing your files in the application rather than in Finder. One of the things you can do — and as it turns out, quite easily — is copying your iTunes Store purchases from one Mac’s iTunes to another. In fact, we’ll show you four different ways you can pull this off. Keep in mind that the files copied this way are still DRM-protected. However, you can authorise up to five computers to manage and enjoy your iTunes Store purchases thereon. This can be done manually by entering your Apple ID in iTunes’ Store -> Authorize this Computer. iTunes comes with a nifty feature called Home Sharing. Once enabled, this broadcasts your iTunes library over your home network, meaning other computers can browse and play the songs on your computer in their respective versions of iTunes. To enable it, select Home Sharing from the left sidebar within iTunes, and enter your Apple ID. Repeat this process on all computers that are to participate in the Home Sharing, all with the same Apple ID. You can add up to five computers this way. Once you’re in a home sharing session, you can simply drag and drop songs from one iTunes library to the other, which is what you’ll want to do to copy your purchases between computers. The above might be the easiest way to copy your purchases between computers, but you can transfer your music without relying on any fancy iTunes features. Instead, you can just copy your files using external media like an external hard drive, a flash drive, or a data CD or DVD. Your iTunes library is located in User > Music > iTunes > iTunes Media > Music, where your music is usually organised in an artist > album hierarchy. You can also quickly locate a singular song from within iTunes by right-clicking it and selecting Show in Finder. Copy your purchases to your external media and, after inserting it in the target computer, simply select the whole lot and drag them onto the iTunes application window or icon. This will add all those songs you had selected to that iTunes library. You may have guessed it. If copying files manually works with a USB flash drive, this same technique works over the network. 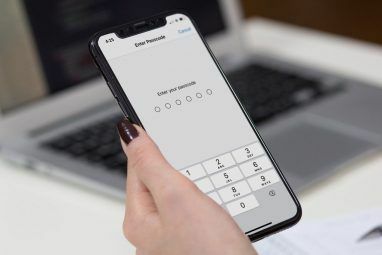 The truth of the matter is that copying a large amount of files over your home network is likely to be slower than using a flash drive, but it’s less of a hassle to set up. What makes this worth a separate mention is the great network sharing functionality that comes embedded in your OS X installation. Shared folders have been available for a very long time, but in recent versions of OS X, AirDrop has been added as an alternative. Every user on a network with AirDrop selected in Finder are able to see one another. Sharing files from one computer to another then becomes as simple as dragging and dropping your files on the other computer’s icon. Finally, if you have an iPhone, or other iOS device that’s been synced with your music library, there’s an even simpler way to move your media between different Mac computers. 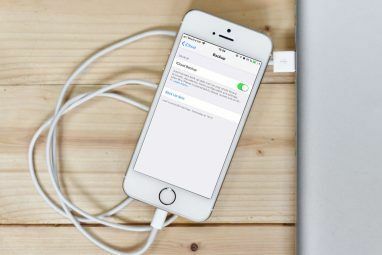 After authorising the other computer with your Apple ID, plug in your iOS device. 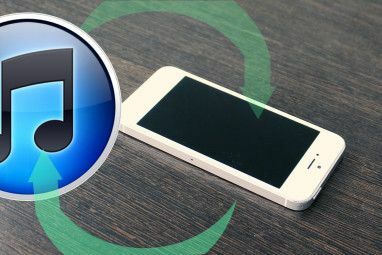 A pop-up will appear — pictured above — which you can use to erase and sync your iOS device with that computer (not what you’re looking to do), but also to transfer your purchases. Choosing the latter option will copy your purchases to that Mac, easy as that. Do you have any other tips up your sleeve? Need help with any of the above? Have your say in the comments section below the article! Thanks for these tips. Home sharing has made things so easy! As a point of interest, you can clone your iTunes library. For example, I have a copy at work, at home on my desktop and on my Laptop. iTunes does not check your hardware - the only way it knows which library is which is via an attribute found in iTunes Library.xml: Library Persistent ID. If this attribute is the same in all your iTunes libraries, iTunes will not bug you with the "synced with another iTunes library" dialog, and will sync without complaint. I would be careful doing this, however. Treat one copy, in my case the home desktop copy, as the 'Master', and regularly sync that folder with all the clones on a regular basis. Can you please suggest the best iTunes library OS/X app for: finding lost files, IDing duplicates, organizing folders, adding metadata, general cleanup. Thanks.